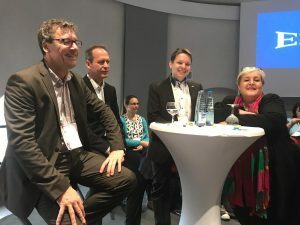 In the year of science, the joint project KoMo (Competence montage – collaborative and versatile) was presented at an event which is called “Workplaces of the Future” on 4th and 5th of December in Stuttgart. 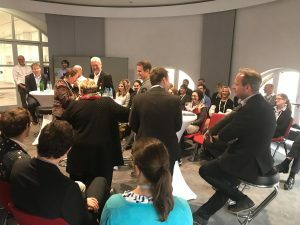 The projects ARIZ, ROKOKO und KomPI were exhibiting with a trade show and organised a session to the topic of human-robot-collaboration. The homepage of ROKOKO you will find here, and that of KomPI you will find here.